On a continent well known for making the news for all the wrong reasons, there are thousands of African women who are not only creating successful businesses, but leaving inspiration and change in their wake, and in a small way helping to change the narrative of Africa’s headlines. The five women below are still making massive strides in their respective business sectors, changing their industries and improving business for other women in Africa. All these women are members of the Graça Machel Trust , a pan-African advocacy organization that focuses on women’s rights, children’s rights and governance and leadership in Africa. Their Multiplying Faces, Amplifying Voices campaign aims to build a network of highly qualified, active and effective women across the continent to become a voice in areas where they are currently underrepresented. This includes the Network of African Businesswomen (NABW), Network of African Women in Agribusiness (AWAB) and New Faces New Voices (NFNV) , a programme that focuses on expanding the role and influence of women in the financial sector. Joy Ndungutse spent her childhood and early adult years in exile due to political instability in Rwanda. Driven by ambition, Joy’s strong desire to work towards the empowerment of women translated into a weaving initiative when she moved back to Rwanda after the genocide. While running a hotel and the country’s first furniture store, she trained local women in rural areas and designed baskets, modern in style and shape, that these women could make using traditional weaving skills and techniques. This journey gave birth to Gahaya Links, a successful social enterprise in Rwanda that works with over 4,000 weavers to make traditional baskets that are exported to the US and Japan and sold through leading department stores. However, she highlights that although some progress has been made in Rwanda, a lot still needs to be done to increase financial inclusion of women, educate women on taxation and business practices, as these still remain big challenges for women in business. She identifies certain key issues such as geographical access to financial institutions, information on financial information and products, and access to capital as barriers for women to enter into business. She highlights that a lot more work needs to be done to educate and create awareness of the importance of formalizing and growing informal women owned businesses. Hadia is the country director of the New Faces New Voices Ethiopia Chapter and is a pioneer in the transportation, agriculture and horticulture industries in Ethiopia. In agriculture she is involved in hybrid grain multiplication and through her business she teaches farmers in the country to improve their yields. As president of the Ethiopian Women Exporters Association, she has seen production by female farmers increase, and exports of different produce such as coffee, fruit, vegetables and flowers improve. Hadia is also one of the founders of Enat Bank, the only financial institution in Ethiopia that specifically targets women. Hadia highlights that creating a strong business network for women in Africa is essential in ensuring that business opportunities improve for women on the continent. As evidenced by the Graça Machel Trust, the role of such networks and advocacy groups is invaluable in connecting likeminded businesswomen across the continent. A self-starter, Elizabeth Swai runs a thriving poultry business that has expanded its operations to include small-scale farmers in its supply chain. Her business model makes a conscious effort to include those parties that would normally find themselves excluded from the formalized market. Elizabeth says that although the Tanzanian government has expressed commitment to supporting female entrepreneurship, women still face a great number of obstacles. 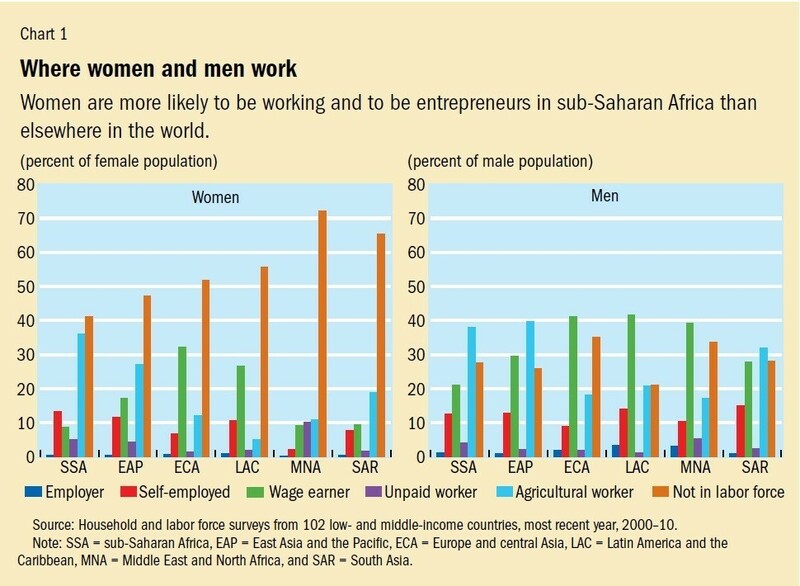 Challenges such as cultural barriers, the right to property and decision making, stiff competition, corruption and bureaucracy, and a lack of awareness from women themselves, make it extremely hard for women in Africa to build a successful business. She also serves as lead and coordinator of African Women in Agribusiness, holds a seat in the Network of African Women in Business, is a founder member of the African Agriculture Academy, and is an active member of the World Poultry Association. According to Elizabeth, her involvement with the women’s networks and associations is aimed at representing the needs of women in Tanzania. Elizabeth Magaya became an entrepreneur at the age of 10 to help look after her siblings after her parents’ divorce. She went from vegetable vendor to owning a group of companies that includes a booming construction business, and has recently diversified into horticulture, landscape and interior design. At the age of 52, she went back to school to finish what she wasn’t able to start as a child and graduated at the age of 56. She is the epitome of self-made success and attributes this to hard work, sheer determination and a constant drive for perfection. “To empower themselves, women must realize that it is possible to start, and you can start small, you don’t need to be great or big to start, begin where you are and the rest will follow. Never mind your background, where you started or where you came from. If you use your hands and mind you will reach your destiny,” she says. Grace specializes in commodity trading and seed multiplication and has built successful businesses that trade in Malawi and across the continent. Having been with the Graça Machel Trust since 2011, she is one of the pioneers that help shape the Trust’s vision. She conceptualized the African Food Basket Project that promotes the growing of indigenous seeds led by women farmers to raise the yields of staple crops like maize, soya beans and pigeon peas. The overall project aims to benefit 50,000 women across grain production value chains in five countries over the next five years. Grace has incredible vision which she shares passionately with those interested in her work and those that share similar interests and beliefs. She sees herself as an agent of change, and is committed to working to support others to reach their full potential and achieve meaningful change in their lives. The Graça Machel Trust, through its advocacy work, seeks to continue in extending its arm to more women across the continent, to effect and influence a change in thinking about women-owned businesses as a channel for Africa’s economic development. The trust seeks to grow women-owned businesses across Africa, and to empower female entrepreneurs to realize their full potential. This article is part of our Africa series. You can read more here . The World Economic Forum on Africa is taking place in Kigali, Rwanda from 11 to 13 May.